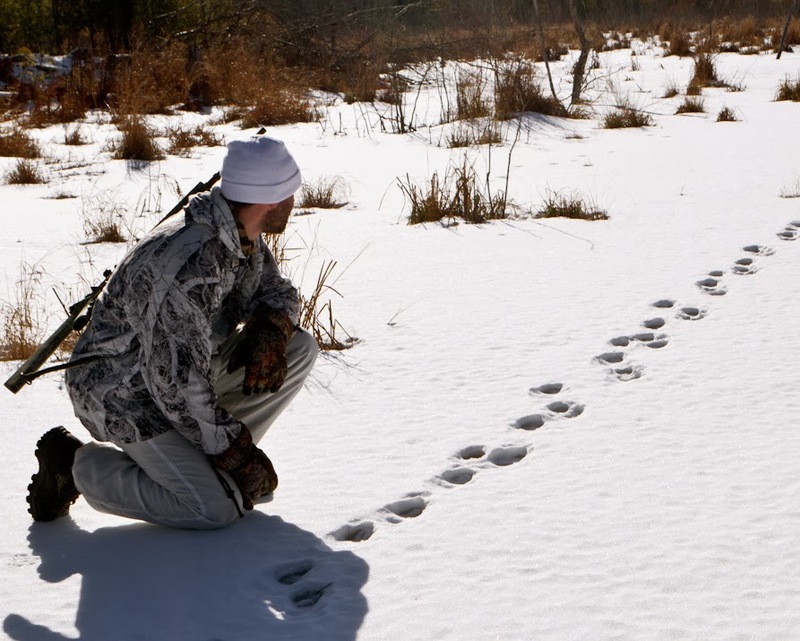 For predator hunters, December brings with it the excitement of being able to hunt bobcat, fox, coyote and even raccoon. While it is enjoyable to target each of these animals with game calling, another popular method is the placing of bait. Bait piles containing road killed deer carcasses frequently draw all four of these furbearers, making morning and evening sits especially exciting as the hunter is never sure what critter might suddenly appear. On December 16th the coyote night hunting season resumes and dedicated sportsmen not afraid to subject themselves to the fury of the Maine winter are typically richly rewarded. Constructing warm shelters, for sitting in on cold winter nights, is mandatory for hunters to be able to hide movement and remain comfortable for long hours when the mercury plummets. These shelters range from drafty old retired ice shacks to well insulated, propane heated condos with lazy-boy recliners and bunks. With the trick to killing more coyotes, directly tied to spending as much time as possible on a bait site, comfort certainly pays huge dividends. 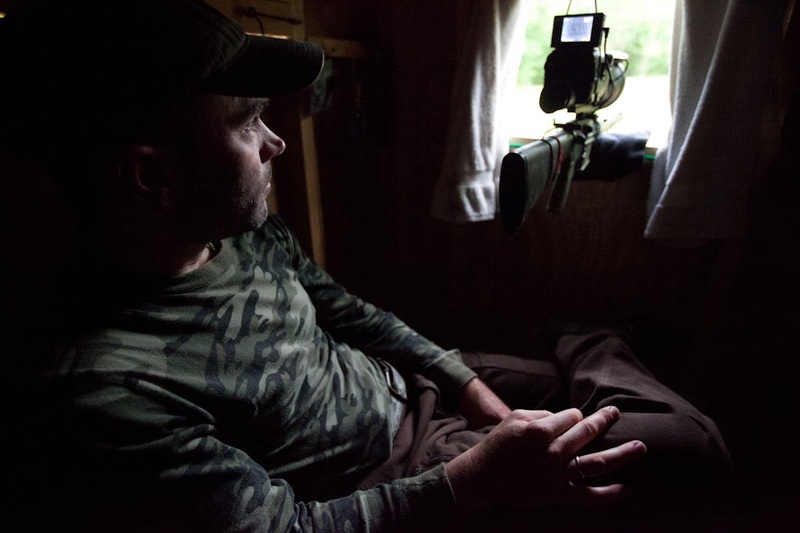 After investing over a hundred hours last winter sitting on bait sites, I can tell you that the most important consideration is having a comfortable chair. On a calm still evening, were even the smallest sound is amplified, a chair that allows you to sit practically motionless for 6-8 hours in absolutely critical. Coyote hunters commonly set out bait, primarily animal carcasses and/or butcher scraps to attract coyotes. Maintaining these “baited sites” is a labor-intensive process and hunters employ a variety of methods to attempt to keep sites refreshed with bait and active. Hungry critters can wipe out a active bait site fairly quickly, leaving hunters with nothing more to hunt over than skeletons. To battle this problem, many employ filling five gallon buckets with meat and water, freezing them solid. This allows critters to smell and dig at the bait, only extracting small morsels at each visit. This keeps predators hungry and coming back often to check on the site. Another method, I employed this previous hunting season is taking 4 large logs, nail them together in a square shape and cover the top with chicken wire, bait is then place under this chicken wire frame. Predators are able to see, smell and dig at the bait through he chicken wire but it is extremely difficult for them to eat more then a tiny amount at each visit. Several laws exist dictating the placement of bait. These include proximity rules related to distance from dwellings, campgrounds and roads. Bait sites must also be labeled with a clearly visible 2 by 4 inch tag with the name and address of the baiter. Bait sites are subject to Maine’s litter laws and must be cleaned up when requested to do so by the landowner, or within 20 days from the last day the site was hunted over. It is illegal to place bait on ice of waters that serve as municipal water supplies, or their tributaries. Before determining where to place a bait site, hunters should become thoroughly familiar with these laws and limitations. 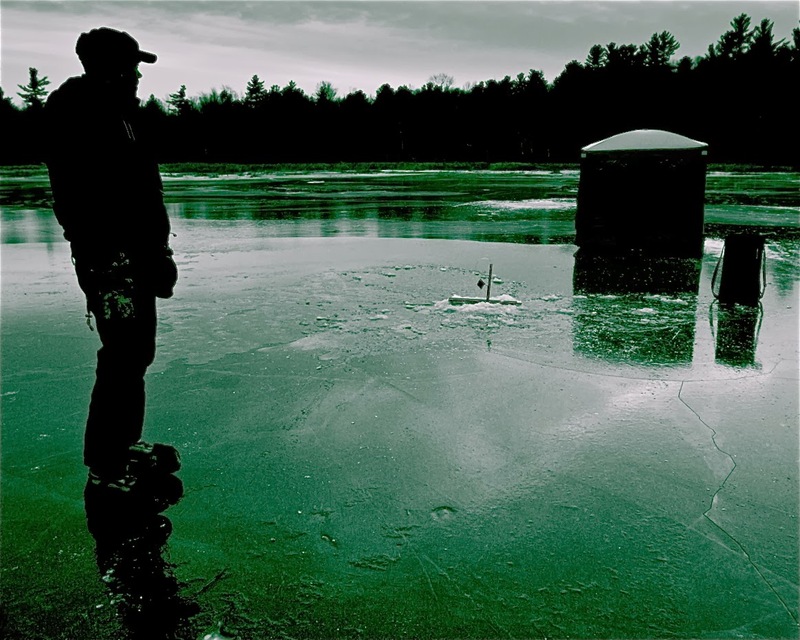 Individuals without direct access to public land will find that many opportunities exist where hunters can place bait on the edging of frozen lakes and ponds. Shattuck Lake (DeLorme’s The Maine Atlas and Gazetteer (MAG), Map 37, C-1), a small puddle of water off larger Keens Lake just outside of the city of Calais is remote yet still accessible and a classic example of a body of water that would provide the perfect place for a predator bait site. Those looking to ease back into ice fishing with an easily accessible hot spot should consider Indian Lake (DeLorme’s The Maine Atlas and Gazetteer (MAG), Map 26, C-5). The lake offers easy access though a parking lot on its southern end, just off of route one and it boasts a health population of brook trout, occasionally producing specimens in excess of 2 pounds and larger. Ice anglers will do well this month to spend a couple hours preparing their ice fishing equipment for when the hard waters return to their favorite fishing spots. I suggest these ten must do items to ensure your ice fishing traps and equipment are in prime condition before the start of the ice fishing season. 6. Start up ice auger, check for proper operation, replace spark plug if necessary. 7. Put a small first aid kit in packbasket. 10. Lastly, be sure to thoroughly check ice conditions before venturing out onto your favorite ice fishing locations.